The Optimux product line is part of RAD’s Axcess+ portfolio for Multiservice Access Platform and First Mile solutions. The portfolio combines extensive support for legacy services with future-proof Ethernet capabilities to address the challenges faced by utilities, transportation networks, carriers, and mobile operators in migrating to next-generation networks and services with flexibility, efficiency and carrier-class reliability. Optimux-1032 / OP-1032 provides a simple, flexible, and cost-effective point-to-point solution for transporting combined E1/T1 and Ethernet traffic over a fiber link, to distances of up to 120 km (74.5 miles). The single-box solution for TDM and Ethernet offers a pay-as-you-grow model by supporting initial deployments of partial capacity with license-based upgrades when needed. by default) and 16 E1 or T1 tributary ports (4 activated by default). • ETH – two additional GbE User ports for a total of three 10/100/1000 interfaces. 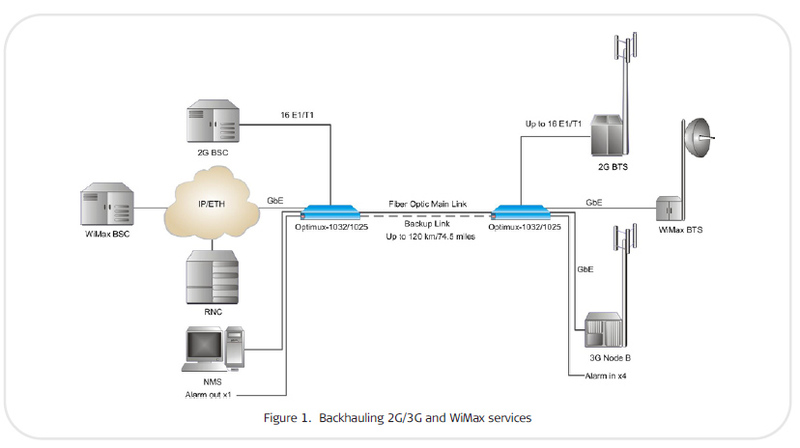 Figure 1 demonstrates a mobile backhauling application where 2G/3G and WiMax services are transmitted transparently from rural locations to a central site over fiber. In such applications Optimux acts as a fiber extension reaching up to 120 km, eliminating the need for massive fiber deployments to rural areas. Optimux-1032 ( OP-1032 )provides a solution to carriers and service providers, employing both TDM and PSN infrastructures and wishing to extend services in a single chassis solution. A carrier point-to-point application is shown in Figure 2. Inter-branch connectivity for multiservice sharing of voice and data for university campuses, health care organizations, financial institutions, government offices can be established with Optimux-1032. Such an enterprise application is shown in Figure 3. • Single-fiber interface using WDM technology with a different wavelength of receive and transmit signals (1310 nm and 1490 nm, 1490 nm and 1570 nm). second uplink as a backup. interfaces are activated, the remaining 12 ports can be activated via a software key. devices support internal timing mode, which means that the uplink transmit clock is sourced from internal local oscillator. Optimux features comprehensive test and diagnostic capabilities that include local and remote loopbacks on each E1 port. On the fiber optic interfaces the Optimux supports digital diagnostic monitoring (DDM) functions according to the SFF-8472 standard. This feature enables the end user to monitor real-time parameters of the SFP, such as optical output and input power, temperature, laser bias current, and transceiver supply voltage. To ease system diagnostics, Optimux-1032 ( OP-1032 ) features LED status indicators and AIS alarm generation and recognition. The devices also feature an optional output alarm port with dry relay contacts for major and minor alarms and an input alarm port that supports up to 4 input alarms. 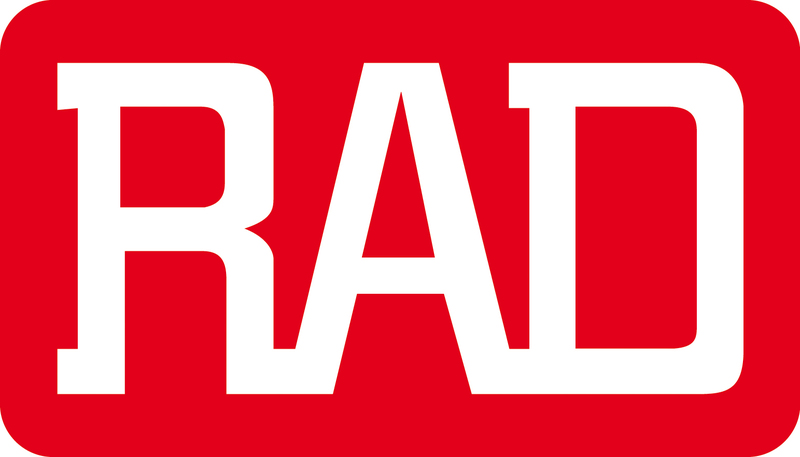 Optimux features RAD’s Command Line Interface (CLI) and RADview-EMS to ease configuration and management. In addition, the product incorporates security features including Secure Shell (SSH), SNMPv3 and RADIUS. • 2U-high enclosure with unbalanced E1 interface and BNC or IEC-169/13 connectors. All the units can be mounted in a 19-inch, ETSI or 23-inch racks. An extended temperature option is available supporting a temperature range of -20° to 65°C (-4° to 149°F). This option is equipped with additional fans and must be used with H SFP versions only. USER-ETH interface (1NULL or 1UTP). A second power supply can be ordered for power redundancy.